Anyone can claim they use the freshest ingredients, but only some you can really taste it. 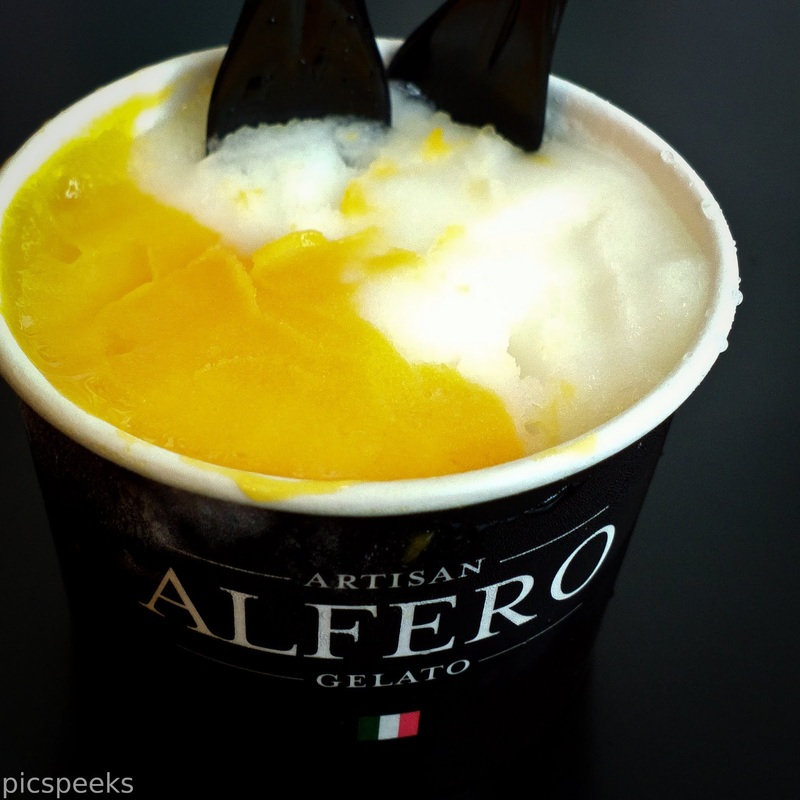 The chef is one Marco Alfero, Italian obviously who trained at The Gelato University of Carpigiani. Now that is passion! Stupid as it may sound to pragmatic Singaporeans, that is really pride in what you love to do. "As a kid, he has always love eating gelato and would even eat gelato like a regular meal. He still loves eating gelato and has always dreamed of becoming a gelato chef." That is someone you know can make good gelato! I have only recently visited his website for "ahem" research, but I have been enjoying his gelato at Marina Square since he started. 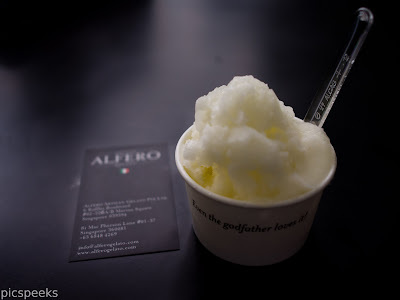 For an Italian, he does a mean Durian Gelato with a seriously rich flavour that last to the final scoop but is not overpowering that makes you a little sick. Chocolate lovers will love their version, a deceptively pale looking dark chocolate gelato. It is pure indulgence. Coffee lovers I recommend pairing their basic Coffee with Vanilla, it's like a cold fluffy Affogato. I don't have much pictures to share as I am more eager to eat it than snap it. Plus a word of warning, if ordering for kids, don't let them run off first. It melts very fast, especially with a cone. One of my favourite is Limone and I could not figure out what to pair it with for a long time, until I tried the Mango flavour. That hit the spot. Go taste the Gelato. They are very generous with sampling, but seriously, you need to part with some money and appreciate the complex taste slowly. It is almost a religious experience.